is now online for you to download. Click Here! - You heard it here first! 2014 CORVETTE Brochure with Facts and Figures: CLICK HERE! ( Released 4-4-2013 Does not include convertible ) CLICK HERE! Camaro Gives a Nod to CORVETTE As Announcement of the 2014 Camaro Is Made. 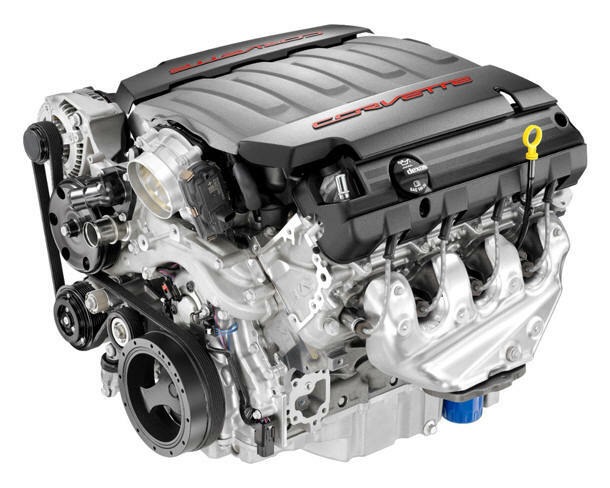 The racing-proven LS7 7.0L V-8 powers the all-new 2014 Camaro Z/28 – the most track-focused production model in the car’s history. It’s matched with a TREMEC TR6060 six-speed manual transmission with unique gearing tailored to the LS7’s performance characteristics for optimal track performance. The Z/28 engine is adapted from the LS7 used in the C6 Corvette Z06, which was developed in conjunction with Corvette Racing. It is rated at an estimated 500 horsepower (373 kW) and 470 lb.-ft. of torque (637 Nm) in the new Camaro Z/28, with a maximum engine speed of 7,100 rpm – a broad rpm range that contributes to higher power and allows the driver to hold gears longer between shifts on the track. That helps keep the engine at peak power for quicker lap time. The story has it, the number 62 Ferrari driver as in a panic. After running of the track twice looking at the fast approaching Corvette coming from behind. Then Tommy Milner made a late pass for the lead and then held on for the final 15 minutes as the No. 4 GT Compuware Corvette C6.R won the American Le Mans Series GT class 61st Annual Mobil 1 12 Hours of Sebring at Sebring International Raceway on Saturday. The No. 4 Corvette C6.R - driven by 2012 Drivers' champions Milner and Oliver Gavin, and Richard Westbrook - overcame an early electrical issue and two key penalties to win the 2013 ALMS opener. It is Gavin's fifth victory at Sebring; Milner and Westbrook each recorded his first. "What an incredible effort by Corvette Racing; these guys never gave up," said Jim Campbell, Chevrolet U.S. Vice-President for Performance Vehicles & Motorsports. "They came from behind multiple times. It was a focused team effort, with great driving and great calls in the pits, and great pits stops, and they delivered a big win. I'm proud of them." 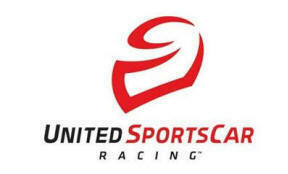 This will be the new logo of United SportsCar Racing, the combined series of American Le Mans and Grand-Am. 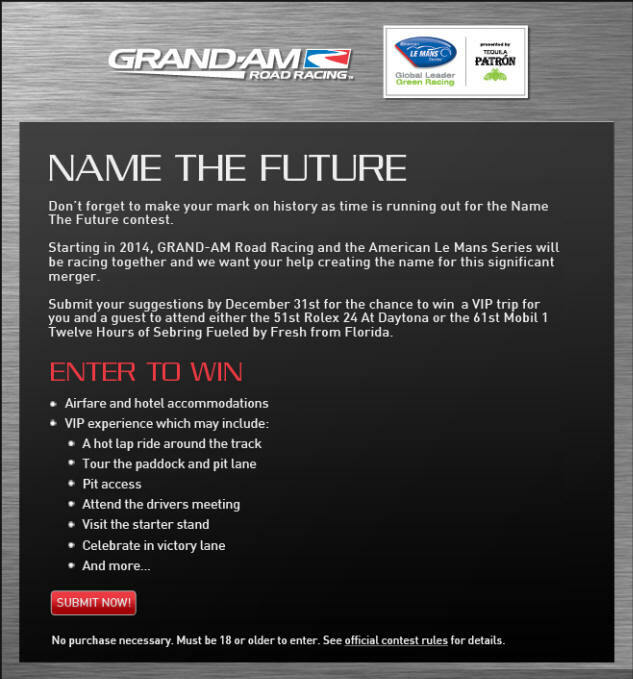 Grand-Am and the American Le Mans Series on Thursday finally announced the name of their newly merged series: “United SportsCar Racing” will indeed replace the “Grand-Am Rolex Sports Car Series” and “American Le Mans Series” labels when the two organizations begin racing together as one in 2014, beginning with the Rolex 24 at Daytona International Speedway. 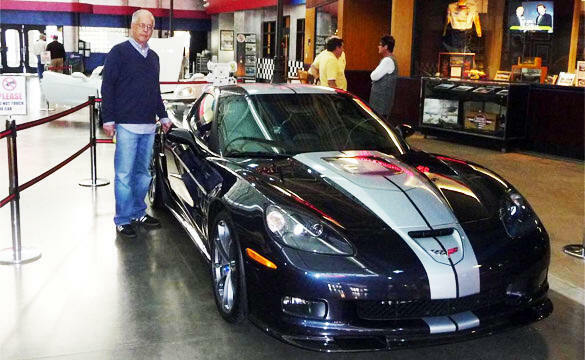 GM’s Harland Charles is fulfilling his childhood passion for Corvette as the product marketing manager behind the creation and launch of the 2014 Corvette Stingray. GM recently created a video highlighting him, where he shares his love for Corvette history and talks about the development of the C7. Corvette C7 Stingray! - 6 Important Items - Dealer Allocation Information. Today at 8:04 a.m., the last 2013 Corvette came off the line at the Bowling Green Assembly Plant. 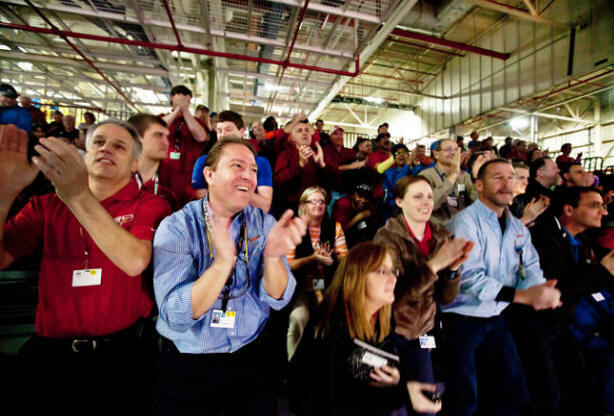 The celebration was short lived, as less than 30 minutes after the last car was built, workers began remodeling the plant to prepare for the launch of the all-new 2014 Corvette Stingray. DAYTONA BEACH, FL — Raw power gets a stamp of its own today as seven-time NASCAR National Champion Richard Petty helps dedicate the America on the Move: Muscle Cars Forever stamps. Petty, his son Kyle and Postmaster General Patrick Donahoe will dedicate the limited-edition stamps at the Daytona International Speedway where “The King” won a record seven Daytona 500 Championships. Good morning, Camaro Comrades, Firebird Friends, and Corvette Cousins! The news for we -- the Chevy Performance Enthusiasts around the world just keeps getting better! The Camaro continues to add great performance models; we just unveiled the new Corvette C7 at the North American International Auto Show; and later this morning, we'll show the world a new Chevrolet Performance Sedan called the "Chevrolet SS." NEWS FROM THE "FACES OF GM"
Dan and Jake run the C5 Registry and C6 Registry web sites, and last month they were invited to see the world premiere of the seventh generation Corvette. Watch the video to discover their impressions of the 2014 Corvette Stingray and hear how they think the new Vette will be received worldwide. BOWLING GREEN, Ky. – General Motors will relocate its Performance Build Center, which allows engine aficionados to build their own specialty engines, from Michigan to the Bowling Green Assembly Plant, home of the Chevrolet Corvette. 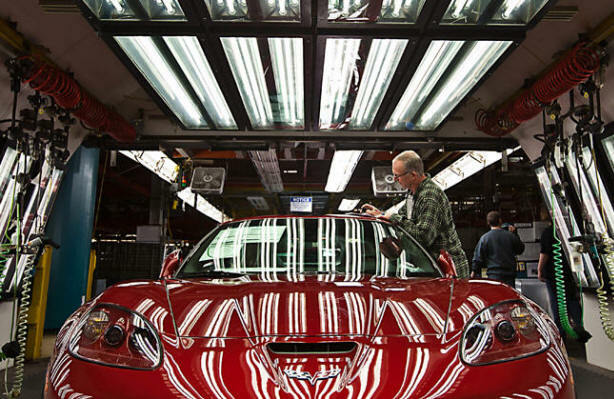 In 2011, GM announced a $131 million investment for Bowling Green Assembly, including construction of a new body shop and renovations and upgrades throughout the facility. The improvements support production of the next-generation Corvette, which Chevrolet unveiled on Jan. 13, just before the opening of the North American International Auto Show in Detroit. “The fine work by the dedicated members of UAW Local 2164 has been proven in building these sports cars. We are pleased with the investment and the resulting transformation of our plant,” stated Joey Cato, UAW Local 2164 shop chairman. The final economic impact for the Bowling Green community is yet to be determined but will include approximately 20 created or retained jobs, specifically for the Performance Build Center. In the past year, more than 150 jobs have been added to Bowling Green Assembly and more growth is expected as production of the 2014 Corvette begins. SCOTTSDALE, Ariz. – Five Chevrolet performance cars, including the first retail production model of the 2014 Corvette Stingray, raised a combined $2.14 million at the Barrett-Jackson Scottsdale collector car auctions that concluded Sunday. Proceeds benefit the College for Creative Studies in Detroit, Habitat for Humanity Detroit, the American Heart Association, the Guy Fieri Foundation for Inspiration and Imagination and the Achilles Freedom Team of Wounded Veterans. 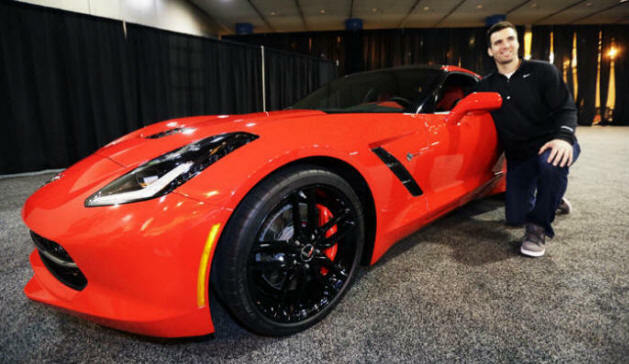 The all-new Corvette Stingray – Vehicle Identification Number ending in 0001 – sold Saturday to businessman and NASCAR team owner Rick Hendrick for $1.05 million just days after the Stingray’s world debut preceding the North American International Auto Show. The money will go the College for Creative Studies, one of the world’s premier institutions for industrial and transportation design. Corvette goes on sale later this year. Earlier, an autographed press kit for the Corvette – numbered No. 1 of 2014 – sold on eBay for $4,300 to the Bowling Green, Ky. Chamber of Commerce; proceeds benefit the American Cancer Society. The Corvette is built in Bowling Green. 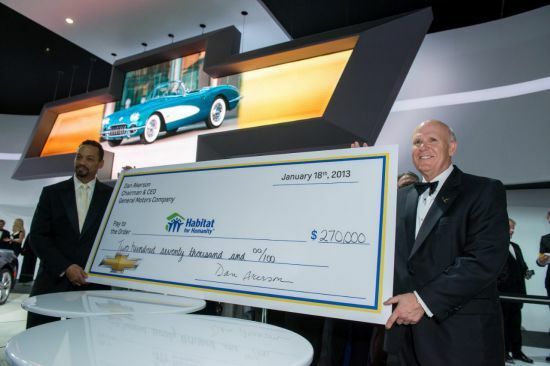 GM Chairman and CEO Dan Akerson’s Regal Turquoise 1958 Corvette sold for $270,000; funds benefits Habitat for Humanity Detroit’s efforts to improve the city’s Morningside Commons neighborhood. A 2012 COPO Camaro Convertible sold for $400,000 aiding the American Heart Association. It is the final of 69 COPO Camaro factory drag-race cars built for 2012. It is one of two convertibles built and the only one painted Inferno Orange Metallic. Celebrity chef Guy Fieri’s personalized 2013 Corvette 427 Convertible Collector Edition sold for $270,000 and benefits Cooking With Kids, a program by the Guy Fieri Foundation for Inspiration and Imagination. Powered by a 505-hp LS7 engine, the 427 Convertible is black with custom yellow stripes – a twist on the yellow-and-black color scheme of his other Chevys. 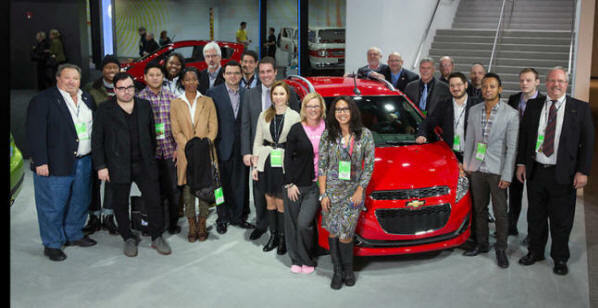 Copyright: © 2013 John F. Martin and General Motors. This image is protected by copyright but provided for use under a Creative Commons 3.0 License for the purpose of editorial comment only. The use of this image for advertising, marketing, or any other commercial use is prohibited. 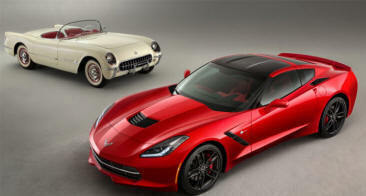 All-new Corvette Stingray comes to New York City - - - -60 years to the day after Motorama debut! NEW YORK – Sixty years ago tomorrow, spectators lined New York City’s posh Park Avenue, waiting to get a glimpse of the ground-breaking Chevrolet Corvette on display at the General Motors’ Motorama show. On Thursday, the Corvette will be back in The Big Apple, marking the historic milestone with the all-new 2014 Chevrolet Corvette Stingray. C5/C6/C7 Registry directors Dan Adovasio, and Jake Drennon are in Detroit for the unveil of the totally new C7 CORVETTE. They will be sending photos and reports for the C7 article we will have here soon. For now, the video below is the exciting reveal for the New CORVETTE C7! As you may know, Chevrolet has huge plans coming up for the North American International Auto Show next week, including the reveal of the 2014 Chevrolet Corvette C7. I will have some exciting things to share with you throughout the next week, so stay tuned! CLICK HERE FOR LIVE STREAM which begins this Sunday at 7 p.m. EST. Please feel free to share this on your site, but be sure to note this page will remain private until 15 minutes prior to the show (6:45pm EST). Members – The C5/C6Net server is currently off-line. Our outstanding web master Frank is in the process of changing over to a new list server provider. The estimated completion date for this change over is February 1, 2013. We apologize for any inconvenience this may cause you. You are all very valuable members and we appreciate your patience and understanding during this conversion. We look forward to having all of you “Like” our page and becoming part of our Facebook Experiance. in Night Race Blue with 60th Anniversary Stripe Purchase! On behalf of all your friends at the C5/C6 Registry, please accept a heartfelt CONGRATULATIONS on your 63rd Corvette!!! This beautiful C6 couldn’t have been produced for a nicer gentleman in all the world! Harvey, you are truly one of a kind and it is an honor and blessing to be your friend! We wish you “Miles of Smiles” in your new Night Race Blue ZR1!!! The streets in Oceanside, New York will need repaving after you travel on them!!! Merry Christmas and a Happy New Year! Drive Safely My Friend! CHIEF ENGINEER TADGE JUECHTER TELLS ALL ABOUT THE C7!!! Fellow Corvette Enthusiasts – If you ever dreamed about driving your Corvette around the famous Daytona International Speedway, your dream is about to come true! The first 100 Corvettes to purchase these exclusive Corvette Corral tickets will have the opportunity to drive a pace lap Saturday morning (Jan. 26) in their very own Corvette! You can click here http://www.daytonainternationalspeedway.com/corral to view the Corvette Corral flyer and purchase tickets online or call 1-877-306-7223 for more information. Spread the word to all your Corvette friends to join us at the Corvette Corral at the Daytona Rolex 24 race weekend (Jan 25-27) to cheer on our Corvette DP Race Teams! Click Here to Download a Printable Flyer you can pass around! 2014 CORVETTE TO MAKE 450 HP ! DETROIT – When the all-new 2014 Chevrolet Corvette arrives late next year, it will be powered by a technologically advanced, racing-proven 6.2L V-8 delivering an estimated 450 horsepower and helping produce 0-60 times in less than four seconds. The most fuel-efficient Corvette ever, exceeding the 2013 EPA-estimated 26 miles per gallon on the highway. Increased power and efficiency were made possible by an unprecedented level of analysis, including computational fluid dynamics, to optimize the combustion system, the direct injection fuel system, active fuel management and variable valve timing systems that support it. More than 10 million hours of computational analysis were conducted on the engine program, including 6 million hours (CPU time) dedicated to the advanced combustion system. Direct injection is all-new to the engine architecture and is a primary contributor to its greater combustion efficiency by ensuring a more complete burn of the fuel in the air-fuel mixture. This is achieved by precisely controlling the mixture motion and fuel injection spray pattern. Direct injection also keeps the combustion chamber cooler, which allows for a higher compression ratio. Emissions are also reduced, particularly cold-start hydrocarbon emissions, which are cut by about 25 percent. Active Fuel Management (AFM) – a first-ever application on Corvette – helps save fuel by imperceptibly shutting down half of the engine’s cylinders in light-load driving. 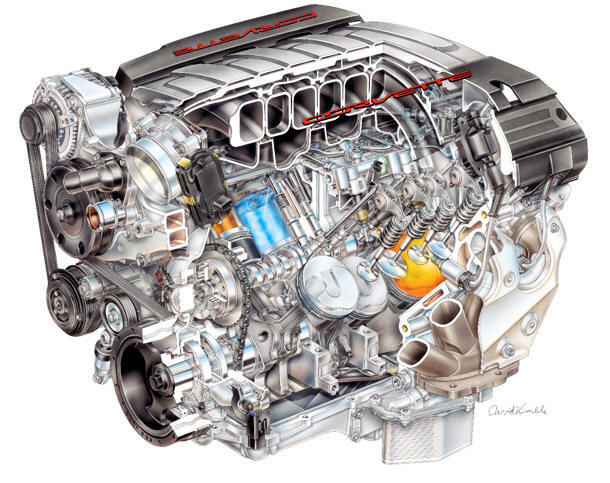 Continuously variable valve timing, which GM pioneered for overhead-valve engines, is refined to support the LT1 AFM and direct injection systems to further optimize performance, efficiency and emissions. These technologies support the all-new, advanced combustion system, which incorporates a new cylinder-head design and a new, sculpted piston design that is an integral contributor to the high-compression, mixture motion parameters enabled by direct injection. The LT1 head features smaller combustion chambers designed to complement the volume of the unique topography of the pistons’ heads. The smaller chamber size and sculpted pistons produce an 11.5:1 compression ratio, while the head features large, straight and rectangular intake ports with a slight twist to enhance mixture motion. This is complemented by a reversal of the intake and exhaust valve positions, as compared to the previous engine design. Also, the spark plug angle and depth have been revised to protrude farther into the chamber, placing the electrode closer to the center of the combustion to support optimal combustion. The pistons feature unique sculpted topography that was optimized via extensive analysis to precisely direct the fuel spray for a more complete combustion. The contours of the piston heads are machined to ensure dimensional accuracy – essential for precise control of mixture motion and the compression ratio. The first Small Block V-8 debuted in the Corvette in 1955. It displaced 4.3L (265 cubic inches) and was rated at 195 horsepower, drawing air and fuel through a four-barrel carburetor. Five years later, V-8 power helped Corvette secure its first victory at the 24 Hours of Le Mans. In 2012, the Small Block-powered Corvette Racing C6.R beat Ferrari, BMW and Porsche to sweep the drivers’, team, and manufacturer championships in production-based American Le Mans Series GT class. These championships make Corvette Racing the most successful team in ALMS history, with a total of 77 class wins, eight drivers’ championships, and nine manufacturer and team championships since 2001. As an example, the new LT1 engine is 40 pounds lighter than a competitor’s twin-turbo 4.4L, DOHC V-8 with similar output. That weight savings not only improves the Corvette’s power-to-weight ratio, but also contributes to a near-perfect 50/50 weight balance for enhanced steering response and handling. 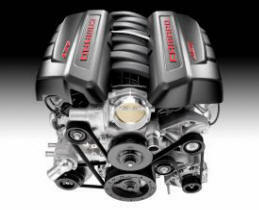 The new LT1 is also four inches shorter in overall height than the competitive DOHC V-8. That also improves handling by lowering the center of gravity while enabling a low hood line – contributing to the Corvette’s iconic profile, as well as ensuring exceptional driver visibility. The new LT1 is the third engine in the Corvette’s history to be so-named, with previous versions introduced in 1970 (Gen 1) and 1992 (Gen 2). 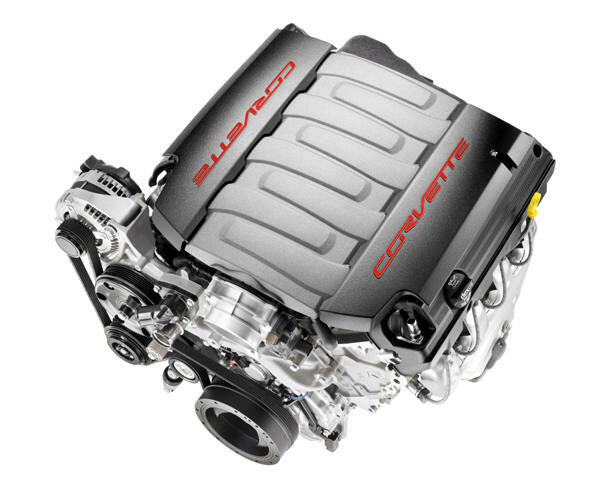 All iterations of the LT1 – and all Small Block engines – have shared a compact design philosophy that fosters greater packaging flexibility in sleek vehicles such as the Corvette. All-aluminum block and oil pan: The Gen 5 block was developed with math-based tools and data acquired in GM’s racing programs, providing a light, rigid foundation for an impressively smooth engine. Its deep-skirt design helps maximize strength and minimize vibration. As with the Gen 3 and Gen 4 Small Blocks, the bulkheads accommodate six-bolt, cross-bolted main-bearing caps that limit crank flex and stiffen the engine’s structure. A structural aluminum oil pan further stiffens the powertrain. The block features nodular iron main bearing caps, which represent a significant upgrade over more conventional powdered metal bearing caps. They are stronger and can better absorb vibrations and other harmonics to help produce smoother, quieter performance. Compared to the Gen 4 engine, the Gen 5’s cylinder block casting is all-new, but based on the same basic architecture. It was refined and modified to accommodate the mounting of the engine-driven direct injection high-pressure fuel pump. It also incorporates new engine mount attachments, new knock sensor locations, improved sealing and oil-spray piston cooling. Advanced oiling system, with available dry-sump system: The LT1 oiling system – including oil-spray piston cooling – was also optimized for improved performance. It is driven by a new, variable-displacement oil pump that enables more efficient oil delivery, per the engine’s operating conditions. Its dual-pressure control enables operation at a very efficient oil pressure at lower rpm coordinated with AFM and delivers higher pressure at higher engine speeds to provide a more robust lube system for aggressive engine operation. Standard oil-spray piston cooling sprays the underside of each piston and the surrounding cylinder wall with an extra layer of cooling oil, via small jets located at the bottom of the cylinders. For optimal efficiency, the oil jets are used only when they are needed the most: at start-up, giving the cylinders extra lubrication that reduces noise, and at higher engine speeds, when the engine load demands, for extra cooling and greater durability. An available dry-sump oiling system promotes exceptional lubrication system performance during aggressive driving maneuvers and high cornering loads. It includes two stages: a pressure stage and a scavenge stage. The pressure stage includes the new, dual-pressure-control and variable-displacement vane pump. Dexos semi-synthetic motor oil, with a 5W30 specification, helps reduce friction to further enhance the LT1’s efficiency. New, tri-lobe camshaft: Compared to the Gen 4 Small Block, the camshaft remains in the same position relative to the crankshaft and is used with a new rear cam bearing, but it features an all-new “tri-lobe” designed lobe which exclusively drives the engine-mounted direct injection high-pressure fuel pump, which powers the direct-injection combustion system. The cam’s specifications include 14mm/13.3mm (0.551/0.524-inch) intake/exhaust lift, 200/207-crank angle degrees intake/exhaust duration at 0.050-inch tappet lift and a 116.5-degree cam angle lobe separation. New, cam-driven fuel pump: The direct injection system features a very-high-pressure fuel pump, which delivers up to 15Mpa (150 bar). The high-pressure, engine-driven fuel pump is fed by a conventional fuel-tank-mounted pump. The direct injection pump is mounted in the “valley” between cylinder heads – beneath the intake manifold – and is driven by the camshaft at the rear of the engine. This location ensures any noise generated by the pump is muffled by the intake manifold and other insulation in the valley. PCV-integrated rocker covers: One of the most distinctive features of the new engine is its domed rocker covers, which house the, patent-pending, integrated positive crankcase ventilation (PCV) system that enhances oil economy and oil life, while reducing oil consumption and contributing to low emissions. The rocker covers also hold the direct-mount ignition coils for the coil-near-plug ignition system. Between the individual coil packs, the domed sections of the covers contain baffles that separate oil and air from the crankcase gases – about three times the oil/air separation capability of previous engines. Intake manifold and throttle body assembly: The LT1’s intake manifold features a “runners in a box” design, wherein individual runners inside the manifold feed a plenum box that allows for excellent, high-efficiency airflow packaged beneath the car’s low hood line. Acoustic foam is sandwiched between the outside top of the intake manifold and an additional acoustic shell to reduce radiated engine noise, as well as fuel pump noise. The manifold is paired with an electronically controlled throttle, featuring an 87mm bore diameter and a “contactless” throttle position sensor design that is more durable and enables greater control. Four-into-one exhaust manifolds: The LT-1 uses a cast version of the “four-into-one” short-header exhaust manifold design used on the Gen 4 LS7 engine. The cast header passages enable consistent exhaust flow into the “wide mouth” collector at the converter. General Motors’ investment in the Gen 5 Small Block will create or retain more than 1,600 jobs in five North American plants, including Tonawanda, New York, which recently received upgrades to support its production. Those are the words that the Corvette World has been waiting for; pictures and dates of the long anticipated 7th generation Corvette. Announced at Petit Le Mans, the unveiling to the public will be at the North American International Auto Show in Detroit on Sunday, January 13th, 2013. As exciting as that public opening will be, the National Corvette Museum has arranged for an even more spectacular experience for a limited number of Corvette’s greatest fans. This is your chance to be among the fortunate few who get the first public view of the new Corvette! Not an early opening of public days, not the Charity Preview day, not the Industry Preview, not even the Press Preview on January 14th… think of a very unique and special insider only reveal on Sunday, January 13th, joining a group of select journalists and industry insiders for the first showing of the C7 to the world. Working very closely with General Motors, Chevrolet and Corvette, the NCM has arranged a 2-day event which includes admission to this special advance press reveal and limited to only 150 enthusiasts. The January 13-14 event includes 2 nights at the elegant Somerset Inn, breakfast, and bus transportation to The Reveal, the GM Heritage Center, the Monday Press Conference and dinner. The package NCM member price for two people (double occupancy) is $1200 (non-members $50 additional for membership). Registration for this event will open at 9:00am CDT on Monday, October 22nd. Q. Do you offer this event without the lodging as part of the package? A. Unfortunately no. This is a fundraising event for the Museum, so we are not able to break out different elements of the trip. Q. The NCM package indicated is for two people. Will there be one for only one person or will I have to purchase the two person package? A. We can offer the package for just one person, however it is $995 for the first person, and $205 for the 2nd person. 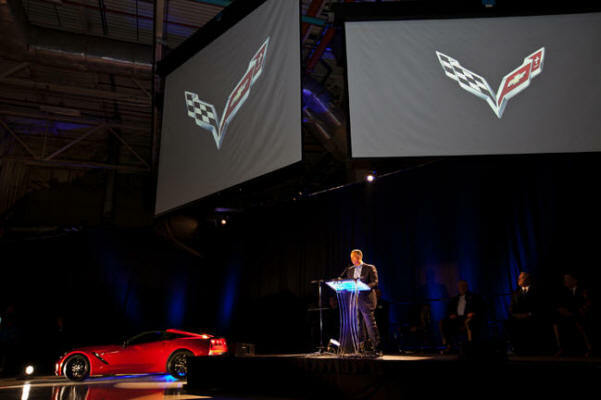 BRASELTON, Ga. – Chevrolet today confirmed the seventh-generation Corvette will debut on Sunday evening, Jan. 13, 2013, in Detroit. To start the countdown to 1.13.13, Chevrolet is showing the new Crossed Flags logo for the new 2014 Corvette. Chevrolet secured the manufacturer’s championship; Corvette Racing secured the team championship, and Oliver Gavin and Tommy Milner captured the drivers’ championship with four wins in the nine races preceding Petit Le Mans, the 2012 ALMS season finale. These championships make Corvette Racing the most successful team in ALMS history, with a total of 77 class wins, eight drivers’ championships, and nine manufacturer and team championships since 2001. The team has also taken seven class victories in the 24 Hours of Le Mans since 2001. Corvette Racing will campaign the C6.R for the 2013 ALMS season. The C7.R is expected to make its racing debut in 2014. The new Crossed Flags design will be featured on the 2014 Chevrolet Corvette, which will debut for credential media on Sunday, Jan 13, 2013 in Detroit. Chevrolet will offer a limited number of tickets for Corvette enthusiasts, with proceeds benefiting the National Corvette Museum, in Bowling Green, Ky. Interested parties can contact Roc Linkov (roc@corvettemuseum.com) for more details. Over coming weeks, more information and video content about the seventh-generation Corvette will be unlocked on www.one13thirteen.com. Enthusiasts can join the conversation about the next-generation Corvette, as well as keep track of new announcements on Facebook (facebook.com/corvette) and Twitter @Chevrolet(#Corvette). Fans that follow the #one13thirteen hashtag on Twitter can look forward to exclusive updates. Members – Hope all of you had a wonderful time at this year’s Corvettes at Carlisle! What a FANTASTIC time we had up on Registry Hill. There was just so much to do and so many things to see, being on top of it all at our Hill location made planning your visiting strategy below easy! Thanks to our friends at the Bowing Green Assembly Plant, we were able to provide our membership with the most recent 2013 Corvette production and color numbers. CLICK HERE! Z25 60th Anniversary Package and Z27 427 Heritage Package production is running at a strong 27% of all Corvettes being built. These packages will go down in history as some of the most desirable C6’s ever produced. You can never go wrong with a Corvette Convertible with a 427 under the hood! If your heart pounds to the thrill of a 427 Convertible, get down to your dealer now! 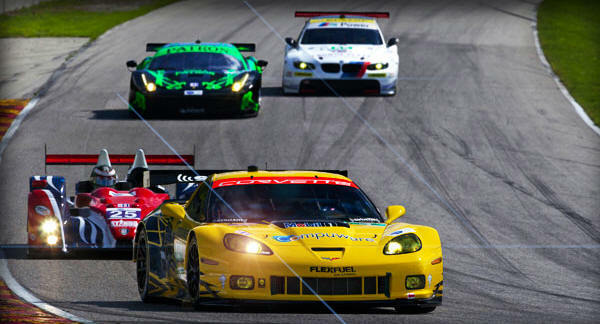 A merger of Grand-Am Road Racing and the American Le Mans Series (ALMS) was announced today! Both sanctioning bodies will continue to operate separate schedules in 2013 before racing under one banner in 2014 beginning with North America's premier sports car race, the 52nd annual Rolex 24 At Daytona. A board of directors has been formed to operate the new combined organization with Grand-Am founder Jim France as chairman and ALMS founder Don Panoz as vice chairman. Other members: NASCAR Vice Chair/Executive Vice President Lesa France Kennedy, Grand-Am President/CEO Ed Bennett, ALMS President/CEO Scott Atherton and NASCAR Vice President/Deputy General Counsel Karen Leetzow.